2. 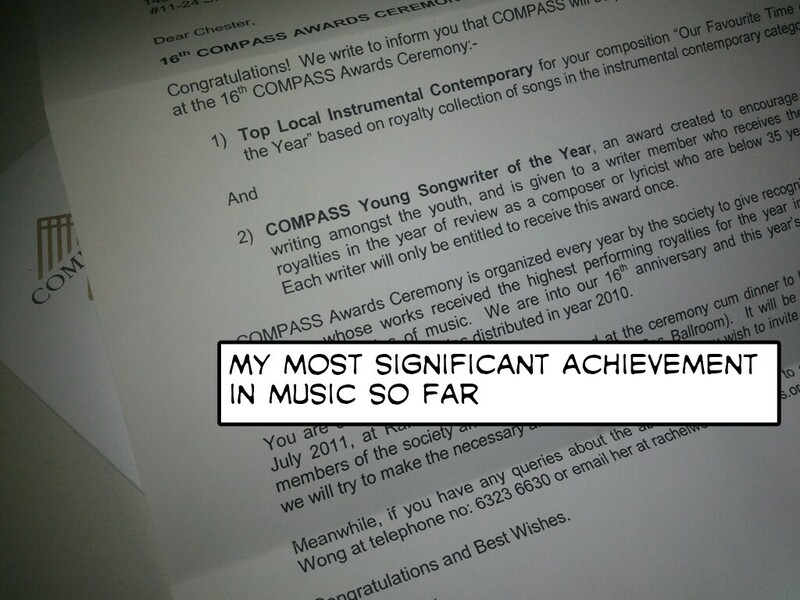 COMPASS Young Songwriter of the Year – given to a writer member who receives the most royalties in the year 2010 as a composer or lyricist who are below 35 years old. Each writer member will only be entitled to receive this award once. The second award came at a timely moment, for I turned 35 in 2010, which makes this the final year that I am eligible for this award. I am extremely elated to be recognised of my achievements through these music awards. I am very heartened to know that my dedication to writing for the instrumental genre since I started composing in 1995 is worth it. I wish to thank all who loved my works in Piano Spa series and I will continue to produce more instrumental music for your enjoyment.